Nembe City FC, based in the city of Nembe in the Bayelsa State, southern Nigeria, is one of the four teams that won promotion to the up-coming season of the Nigeria Premier League. 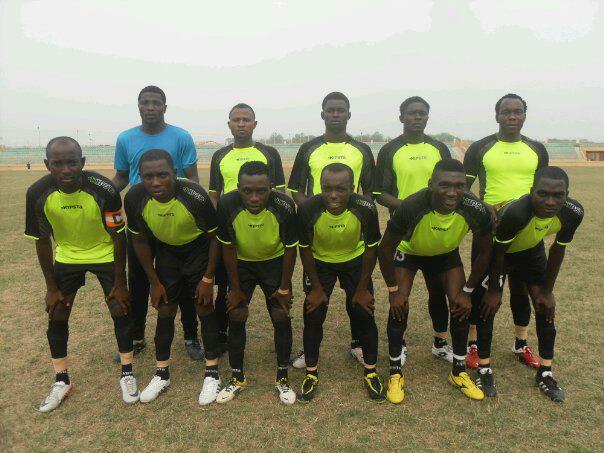 Nembe City FC ended the season as number one in “Division C” of the Nigeria National League. Nembe City FC has a lot of players who has previously featured for Bayelsa United FC, or who are on loan from Bayelsa United FC. Bayelsa United FC will also play at top level of Nigerian football next season. According to the official homepage of the Nigeria National League, Nembe City FC scored 22 goals in 16 matches. I have found the scorers of all these goals. In Justice Uche Ihuarulam and Inyang Asuquo, Nembe City FC has two very interesting strikers. Both players have played for Bayelsa United FC and both players scored seven goals during the season. Other key players include veteran goalkeeper Segun Hamzat, central defender Dominic Duku, formerly of Kano Pillars FC, defender Brown Braye, Bina Tombiri, Omoniwa Rotimi, Uche Ugochukwu and experienced midfielder Vincent Kipu Pere (born 01.12.1986). In April 2012, Tombiri was named in the squad of the Nigeria U-20 national football team. Braye played a couple of matches for Nigeria U-20 in May 2012. Other players I have noticed include Sunday Akinbinu, striker Obioma Arinze, striker Standfast Oriye and attacking midfielder Tolumoye Tonkmor. I expect Nembe City FC to sign a lot of new players during the current transfer window. Don’t be surprised if some of the mentioned players will play for Bayelsa United FC the up-coming season.